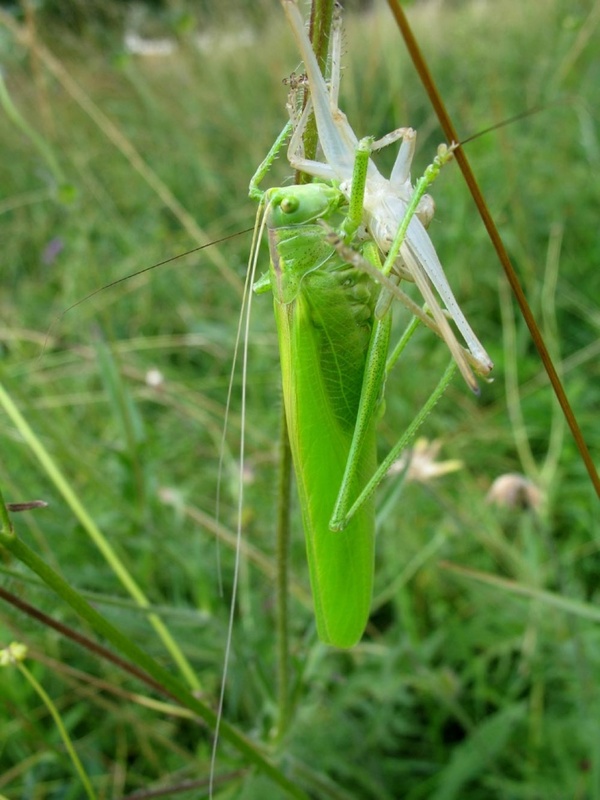 Carnal food (insects), but also plants. 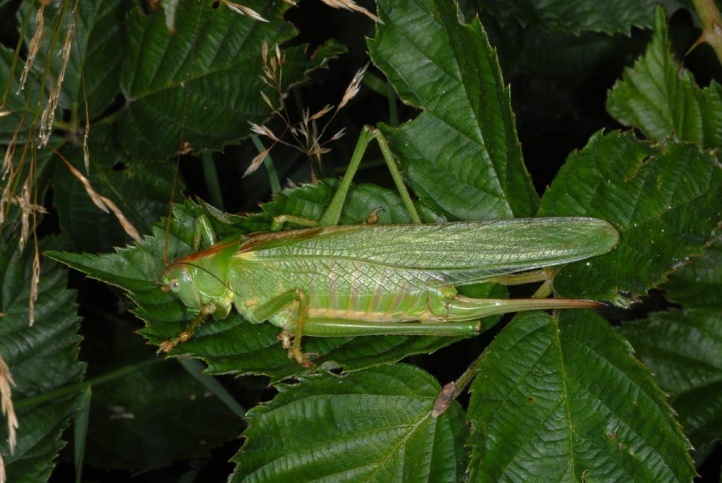 Tettigonia viridissima inhabits open land of all types (fields, grasslands) as well as hedgerows, clear cuttings, parks or woodland edges. 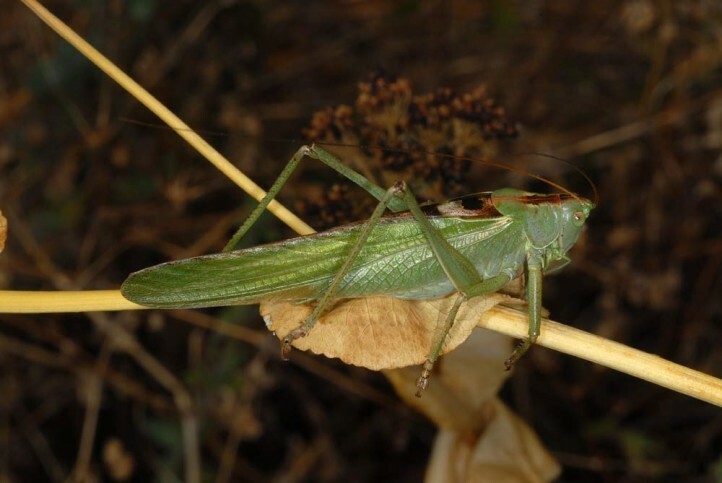 Compared to Tettigonia cantans, it prefers warm and rather dry lowland habitats. 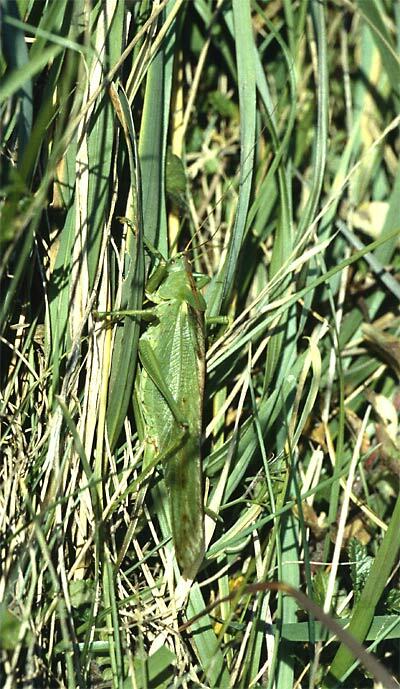 Tettigonia viridissima is for example missing on the northern edge of the Alps in many places, while Tettigonia cantans is quite common there. The eggs overwinter in the soil, at least twice. 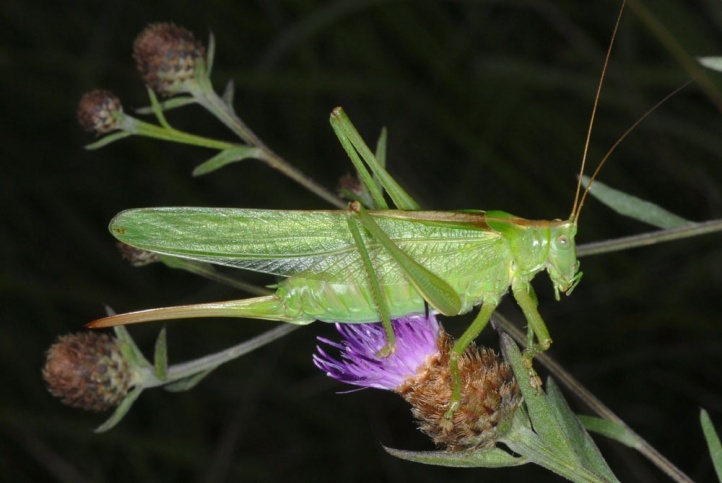 The larvae can be observed from April, adults only from late June to October (in the south earlier). 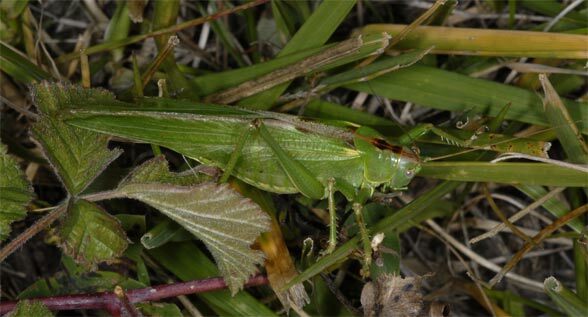 Tettigonia viridissima is not endangered.